Engaged employees are happy employees. Yet according to a recent Gallup poll on employee engagement, only 32% of employees felt engaged. Imagine that, close to 70% of the U.S. employees weren't engaged at their jobs. Why should you be concerned about this? How about phrased another way, close to 70% of U.S. employees aren't happy with their jobs. OK that strikes a bit harder, so how do we fix it? First, what exactly does engagement mean in the context of a corporate work environment? 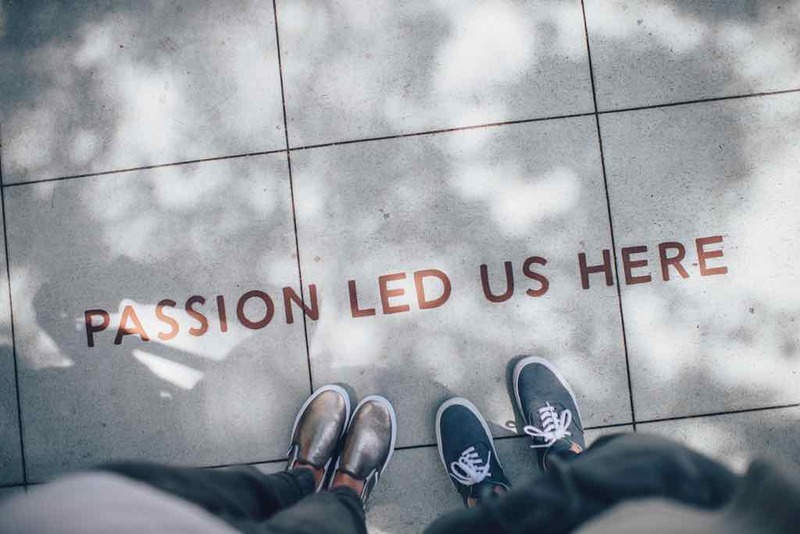 It's a nebulous word that can take on many different meanings depending on your point of view, but generally means employees that are enthusiastic and passionate about their work and committed to the company's goals and vision. Let's look at the core characteristics of a work environment that cultivates deeper engagement with employees. The core characteristic is communication. And that means clear, concise, and timely communications at all levels, from your quarterly meetings, corporate newsletters, all the way down to 1-1's with direct managers. This relates to all facets of your company, starting with the individual goals of the employee. Are they clearly stated and defined in such a way that the employee feels it's reasonably attainable. Are your corporate goals stated from the top down, such that each departmental goals are aligned and have a clear through line from the top all the way to the individual goals. A clear understanding of the company's plans and goals gives an employee a sense that they aren't simply a cog in the machine, and that they're deliverables are part of a larger goal and vision. And similarly, your company should have a stated purpose or mission larger than simply moving the product du jour or selling services. It doesn't need to be anything saintly such as "curing the world of diseases", but it should have a larger over arching goal that encompasses your departments and drives your decision making. For example, Nordstrom's mission can be succinctly stated as providing impeccable customer service to each and every customer. Or Apple's, to create beautifully designed products that are accessible and simple. These are very simple to understand, "impeccable customer service" and "beautiful and simple", yet cover the broad range of activity that occurs at these mega corporations. If an employee can clearly understand, identify with, and be proud of your mission statement, then they'll be better positioned to help drive their own daily tasks and decisions towards your corporate vision. And furthermore, they'll be more attuned with the idea that they're helping "design beautiful products" rather than selling a watch gizmo. Help encourage and foster a culture beyond the work environment. Whether that's a fun, innovative, educational, philanthropic, or some combination thereof, your employees should feel that going to work isn't simply a matter of completing daily deliverables. That their regular life can in fact coincide and overlap their work life. Recognition should be generous and loudly given when earned. Employees should feel that their contributions are noticed and appreciated. Recognition should extend beyond the hierarchy. Meaning, someone at the top of the hierarchy shouldn't hesitate to praise and show appreciation for the work of people farther down in the ladder. This gives employees a stronger sense of pride and ownership in their work. In the same vein, accountability also has to be a key characteristic of your company. No one wants to feel like they're unfairly shouldering the burden of others, or being taken advantage of. Thus, employees should be able to hold their peers as well as their superiors accountable. This doesn't mean an environment of accusations and finger pointing, but instead an open environment where expectations and roles are clearly discussed. Where feedback can be freely and openly given without fear of reprisal or being ostracized. However, as recognition should span hierarchies, accountability should be something that is handled within the same hierarchy or by direct hierarchical leads. An environment of recognition and accountability provides the employee with a sense of ownership not only in their own work, but in their work environment. Thus leading to a team that constantly strives to improve themselves but their workflows, processes, and team. Speaking of growth, an employee should feel that their personal career growth is not stagnating. Whether that's technical or leadership skills, a manager needs to be very attuned to the employee's personal goals and attempt to align those with the company goals. When an employee feels that they are growing and developing, they are twice as likely to engage with their team. This dedication to career growth shows employees that they are being invested in and shows them there's a future for them. Most businesses will acknowledge that employees are their biggest costs, but also their most important and valuable assets. A highly engaged and motivated team can have a tremendous impact on the trajectory of a company's success. So it's vital to your team's morale and your company's success that employees feel properly engaged with their work. We'd love to hear how you engage your employees at your company. What strategies, such as L'oréal's social media campaign, have been extremely effective for your team?